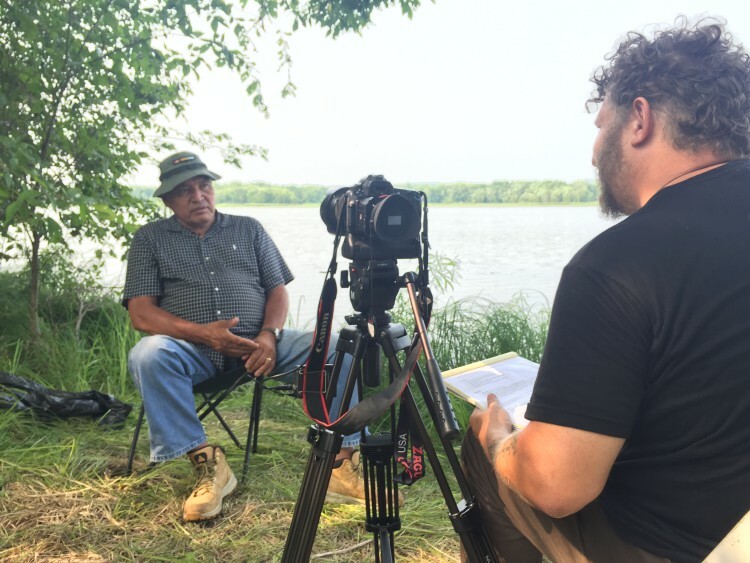 I had the tremendous honor of interviewing two members of the Prairie Island Indian Community, part of the Mdewakanton Sioux band (“people born of the water”), located just north of Red Wing. First I talked to Arthur Lockwood a younger member of the tribe in his 20s. We talked about tribal history going back 12 generations, lost stories of the elders, colonialism, his mixed heritage, Indian sovereignty, racism, and growing up on the river. 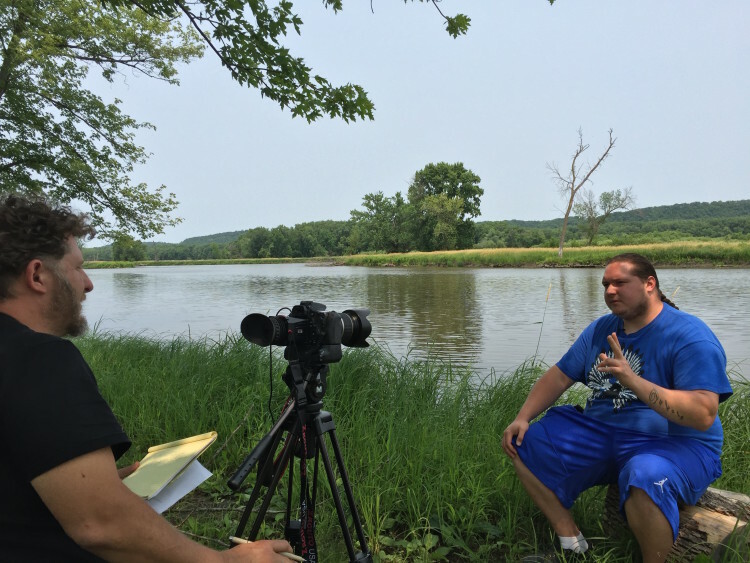 Arthur was one of the few young people learning his people’s language and history. Later he sang us an amazing song. Arthur introduced us to a tribal elder Art Owens, also called White Horse Charges, who took us on a long drive down a rugged dirt road through the wilderness along the river to the Winter Camp, the place that young men stay for a time during the harsh winter as part of their coming of age. Art talked to us about the traditions of their tribe, Dakota creation stories, fishing in the summer and winter, and taking care of the river. These are interviews I have been trying to get for a year. I am deeply grateful for the opportunity and only regret that I haven’t yet had the opportunity to talk to some of the older tribal women who would no doubt have a different and interesting perspective.